This post is sponsored by Delta Paints. 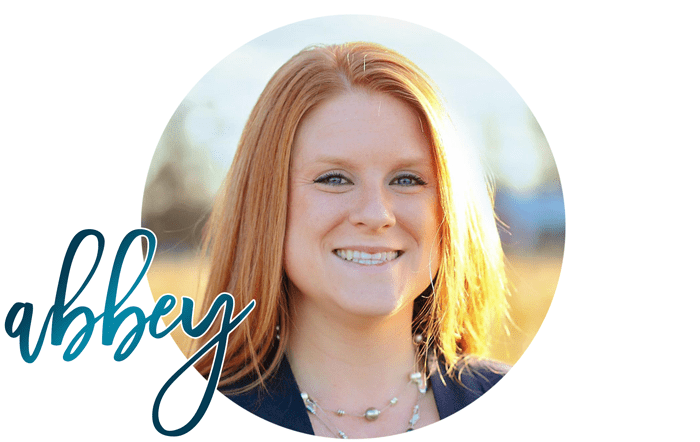 Do you decorate seasonally or are you a one time every two years kind of decorator? You know, the one that finds your style and sticks with it all year long except maybe for Christmas decorating. I fall somewhere in the middle of that for a few reasons…first, I can only store so much decor and second, IT’S EXPENSIVE and time consuming! 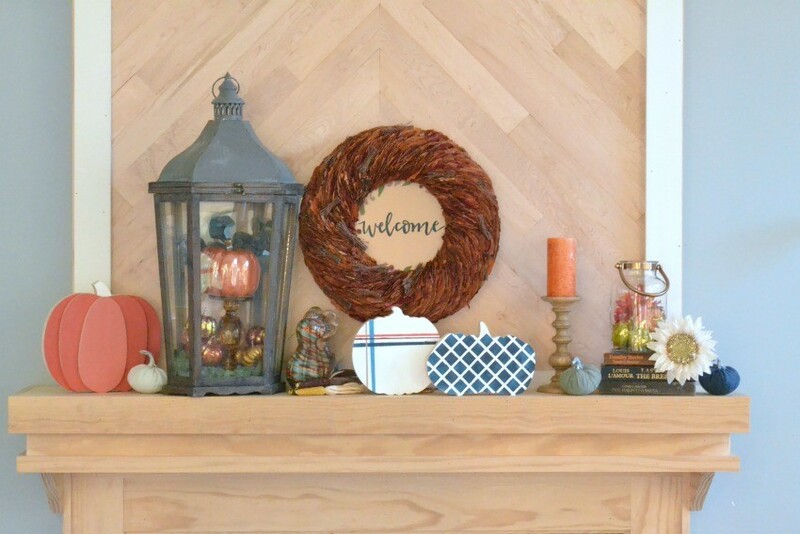 But, it is fun to change up seasonal decor for fall, winter, spring, and summer and today I thought I’d show you this cute Plaid Pumpkin Tutorial for my Fall Mantel with no fuss and on a budget! 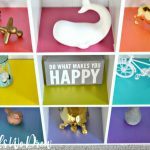 The best part about it is that you can take any existing decor that you have, add a few new personalized pieces to it, and arrange it all together to create a fun and updated look each year. 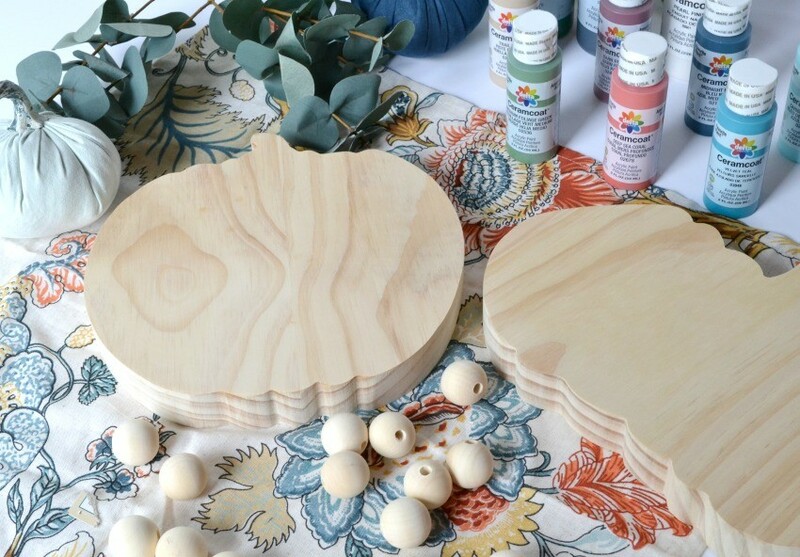 For this post, I combined new blank canvases that I found at Target along with some Target Dollar Section finds, I used the Delta Ceramcoat® Acrylic Paint in the Target craft aisle to make those canvases unique to my style, then I added them so some existing fall decor that I’ve had for years. Also, a fun little tidbit is that I decided to style my parents’ mantel this time instead of my own!! So my parents are building their own house (my dad is a contractor) and this is what their mantel looks like right now. They plan to stain the unfinished woodwork soon, but I still love it even unfinished!! Delta Ceramacoat Paints are a rich and creamy formula that provides excellent coverage. It’s great for base coating, stenciling and decorative painting on wood, terra cotta, plaster and paper mâché. It dries to a matte finish and is made in the USA. 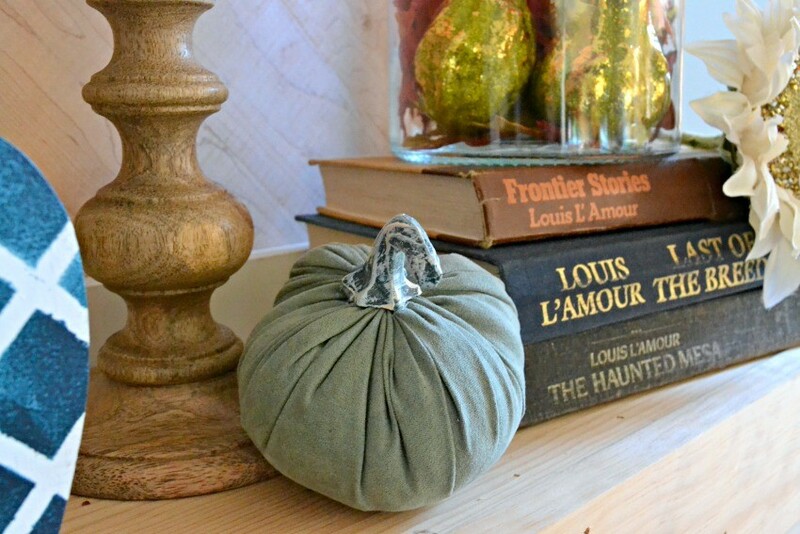 Next I found these cute unfinished wood pumpkins at Target that were perfect for what I wanted to do with my mantel!! I also picked up some cloth pumpkins, a gold, round unfinished wood piece to paint, a pretty rose gold vase, and greenery from the Target Dollar Spot to decorate with. 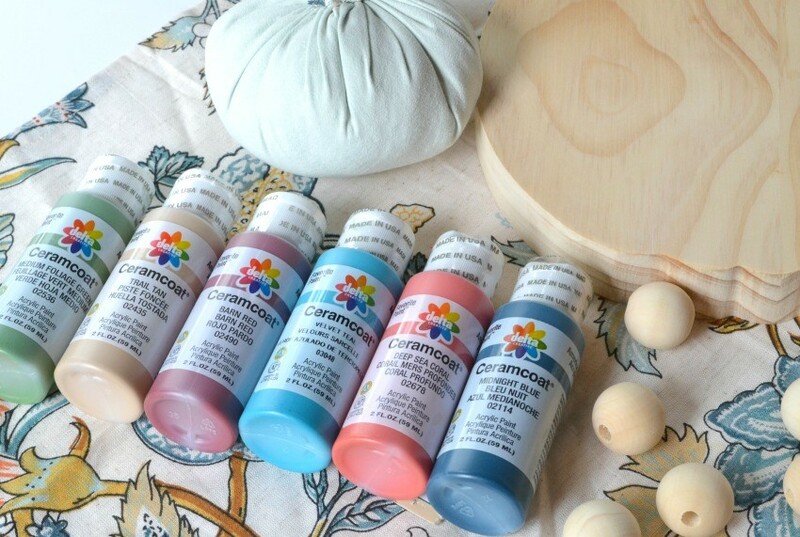 I love that I can literally pick up BOTH decorating and crafting supplies at one place in Target now versus having to go to a separate store for the paint!! So convenient! 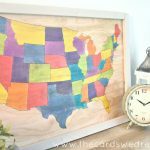 For this project, I took three unfinished items from Target, personalized them, and added them to my decor. 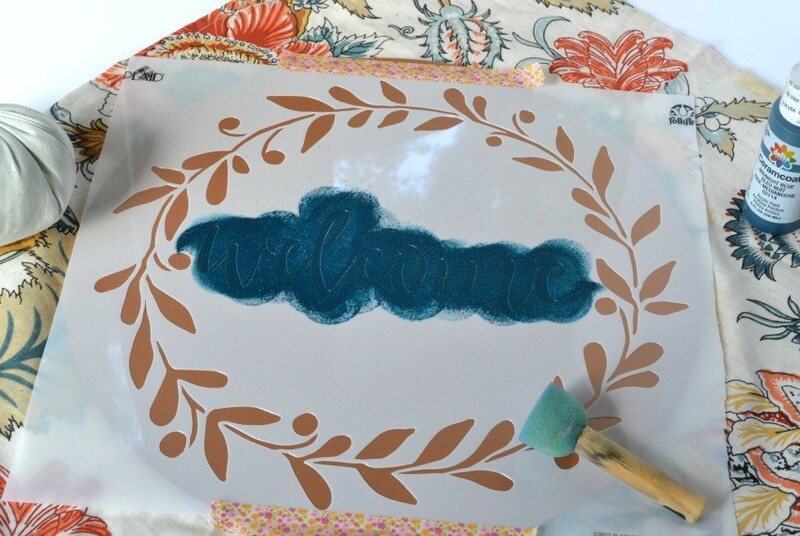 The first thing I did was take this cute “Welcome” Folk Art stencil and stencil it onto a gold, round plaque I found at Target to use behind an existing fall wreath I had on hand. For the pumpkins, I started first by painting them white and letting them dry. 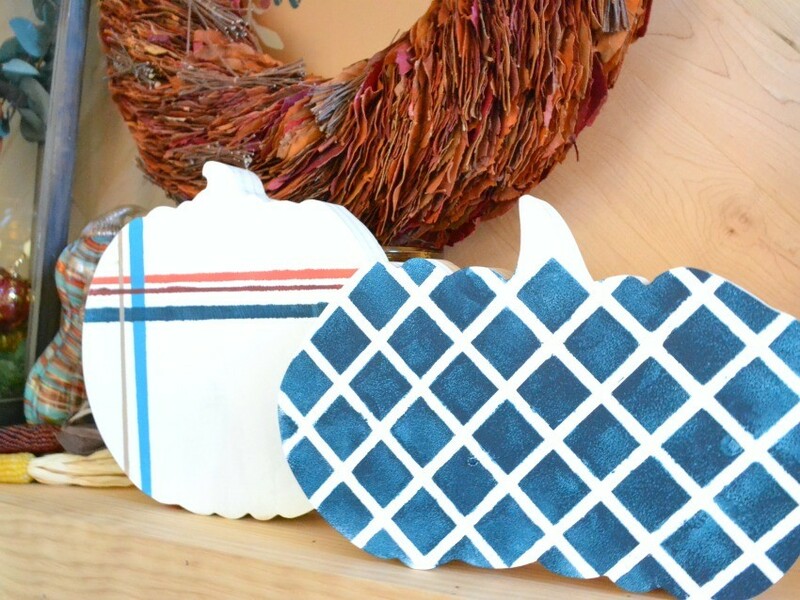 Then for the shorter pumpkin, I used a FolkArt Stencil (similar to this one) and the BEAUTIFUL Midnight Blue paint color to stencil a cute pattern on it. 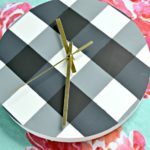 For the taller pumpkin, I also painted that white and then I used painters tape to simple create varying widths of horizontal and vertical lines in colors of my choosing to create a cute, easy Plaid Pumpkin! 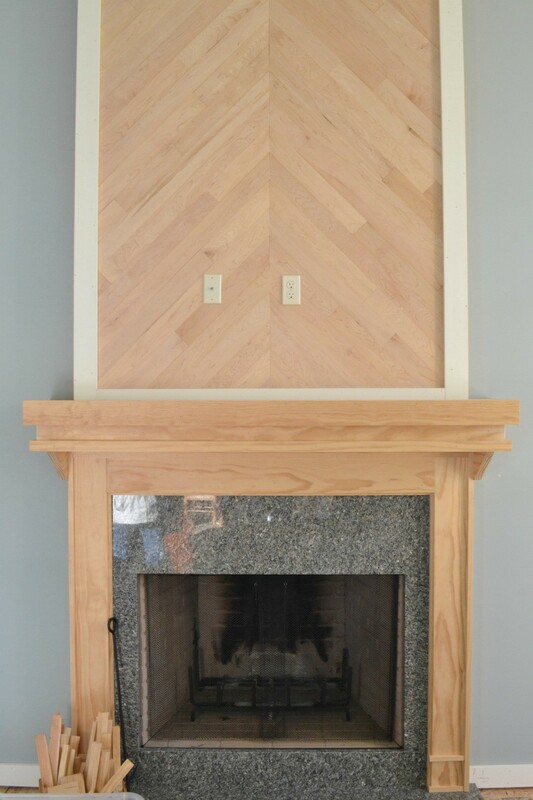 I added easy decor in varying heights and complimentary colors to the mantel. I used some books my dad had on hand to give it a fun, vintage element. I love the pop of color and interest that the pumpkins in the center add to the whole thing. And I hot glued my “welcome” sign into the center of my wreath to make it more unique and personal. I added a few cute little additions onto the mantel to tie it all together…aren’t the books the perfect colors for what I’m doing?! I was thrilled to find them in my dad’s collection. 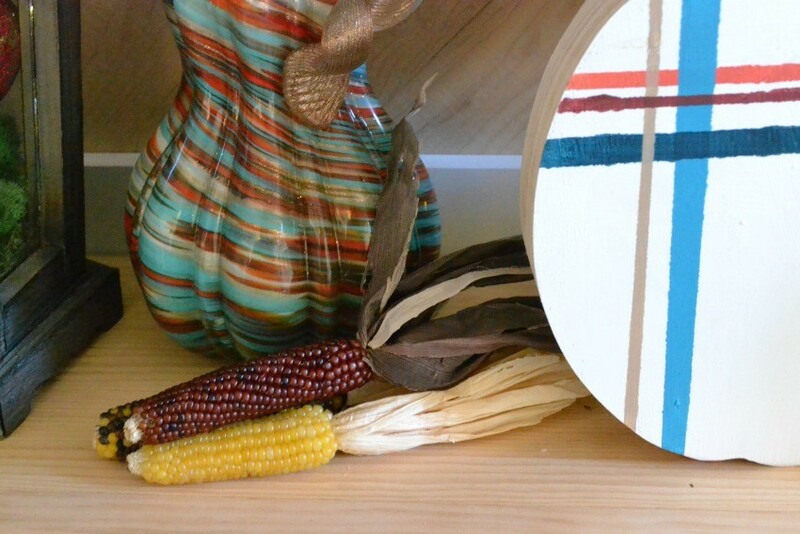 And it’s super easy to add little items to fill up the space like corn husks, small pumpkins and gourds, leaves, etc. 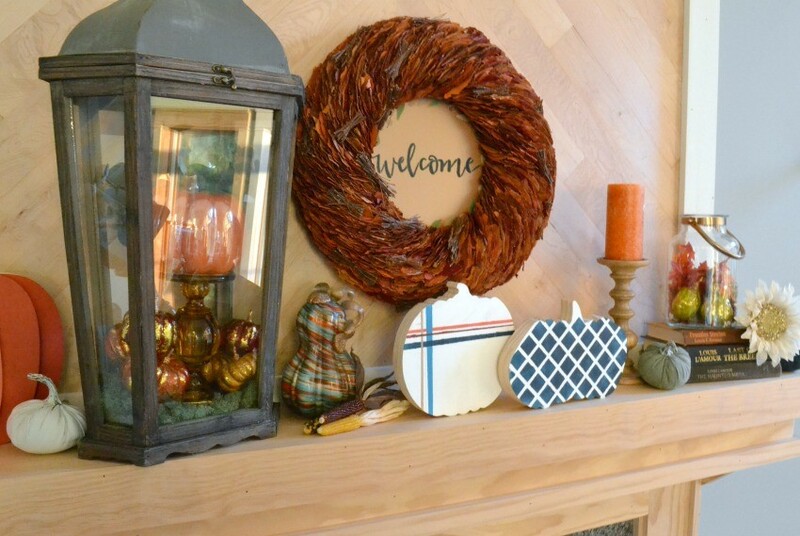 I used my mom’s existing lantern and filled it up wit gourds and a ceramic pumpkin I already had on hand, but I still love the pop of color and pattern that my new pumpkin additions add to the overall mantel. So what do you think?! Easy, right?! 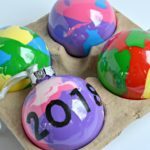 And just think, if next year you want to mix things up, just repaint your items new colors to match your new decor ideas and trends! 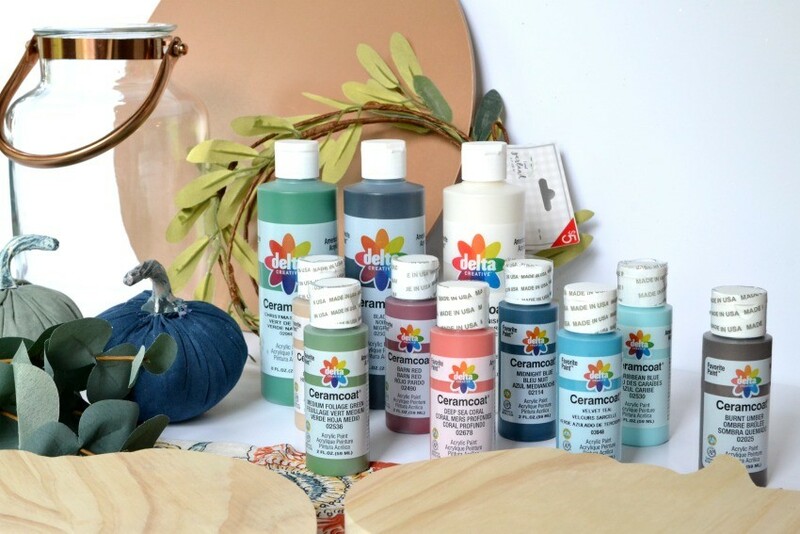 Find Delta Ceramcoat® Acrylic Paint at Target in 22 colors and six new Flash Metallic colors at Target in the craft aisle or at Target.com.